The joint project between the Lviv Regional Police and the EU Advisory Mission (EUAM) on introducing new forms and methods of work at Sambir Police Station is prolonged and expanded to four new areas. The official deployment of the response units took place on the 7th of August 2015 in front of the Lviv Regional Police headquarters. After the Ministry of Internal Affairs (MoIA) has earlier evaluated the results of the joint experiment at Sambir Police Station as successful, the order from the MoIA followed to extend the project to Staryy Sambir, Turka, Zhovkva and Mostyska districts with Sambir as the base station. “The Lviv Police can be proud to serve more then two hundred thousand people additionally with professional response police units. I’m grateful to our Ukrainian colleagues with whom EUAM had developed this model. I want to thank the Minister of Interior, the Deputy ministers and the MoIA itself that we have a possibility to spread out with this fantastic police work. It is a huge challenge to set up a new system of policing with a community policing approach. But to work on behalf of people means also to have an organisation which will serve internally on the same grounds and values”, said Udo Moeller, the EUAM Head of Regional Outreach. Following the example of Sambir Police Station, the new response teams were created in Staryy Sambir, Turka, Zhovkva and Mostyska districts. They are provided with cars, fuel and additional financing. The extended experiment will be analysed by the Expert Council for Protection of Human Rights in Bodies of Internal Affairs on the feasibility of introducing the experiment to other territorial subdivisions. “We took the first step in Sambir and it was successful. Now we are moving forward in implementing the experiment in the four new districts with a perspective to provide this model in all areas of the region. We are ready to work hard in order to achieve the best results with the help of our EUAM colleagues”, outlined Yuriy Hladun, the Chief of staff of Lviv regional police. The pilot project between the Police of Lviv and the EUAM was launched at Sambir Police Station in June 2015. It has significantly improved the response time of police. Now, it takes only four and a half minutes for teams to arrive on a spot. Sambir citizens have doubled their calls to the Emergency Response Unit: because they now have confidence that the police will actually assist. The experiment has also improved the working schedule for the staff. The duty time was halved from 24 to 12 hours followed two days off. These measures provide officers with better conditions to carry out work more efficiently and productive. 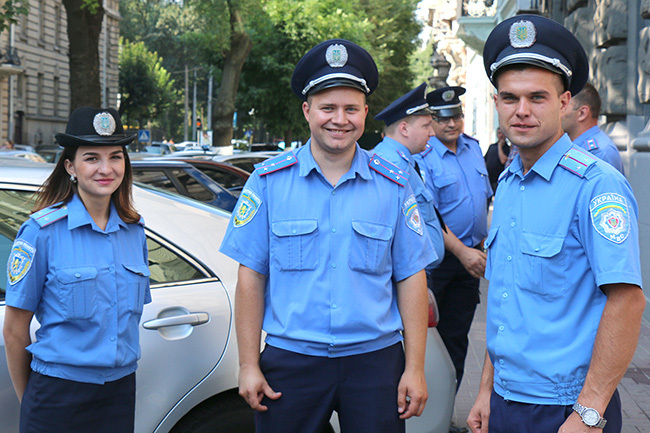 The joint project between Lviv Regional Police and the EUAM implements a system based on best European practice and the expectations of citizens to rebuild trust between police and the people.